Gerb. Heinemann SE & co is one of the worlds largest corporations in duty free retail. They have stores at most european airports with international traffic. A number of these stores include a regional area, wherein regional products can be presented in a specifically tailored atmosphere. 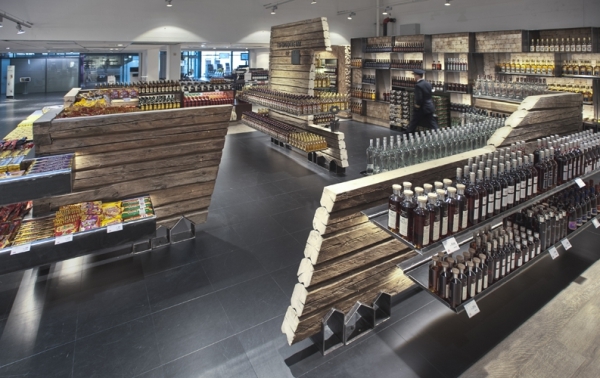 In company with some of the most known architect offices of the world, TYIN was asked to design this regional area in the Heinemann store at Trondheim Airport. The project has two main objectives. First, to show the uniqueness of the city and its cultural heritage. Second, to create something authentic and real, in stark contrast to the otherwise artificial and sterile environment of the airport. Hiding behind the facades of Trondheims unique wooden buildings are the backbones of Norwegian building tradition, the timber log structures. This way of building is several centuries old, and still in use today. Trondheim is also known for its steel industry related to shipping and seafare, another integral part of Norwegian cultural heritage. 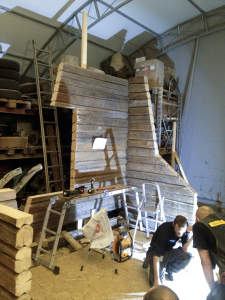 We began the process by searching for an old, traditional log house typical for the Trondheim-area. The log house we ended up with dates back to the 1880s. It was in a bad state and destined for demolition. After saving it from certain destruction, we carefully dissected and moved it to an indoor building hall. The rotting logs were removed, and the shape of the remaining structure dictated the design. 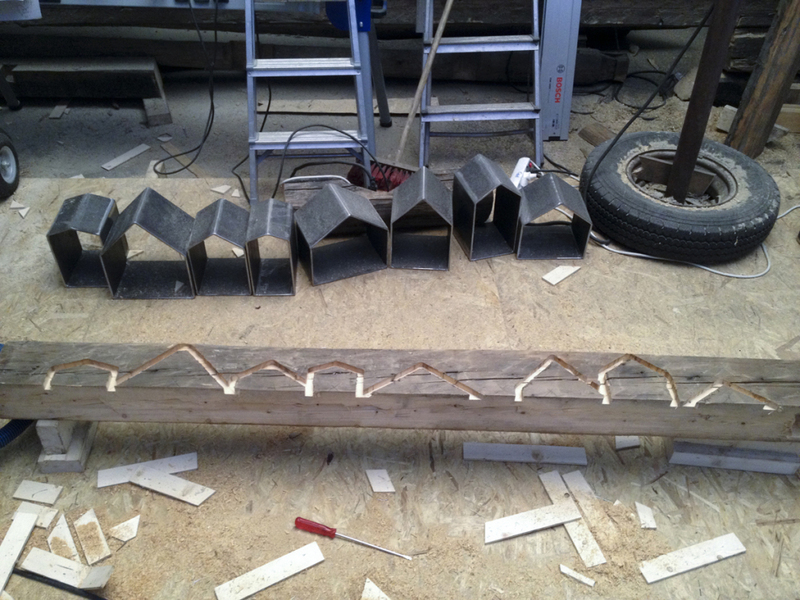 The project is carried by miniature pier houses, a common trait of Trondheims traditional building mass. The miniatures are silhouette replicas of actual buildings. The steel shelves are burrowed deep into the timber logs, with each module containing a complex network of electric wiring, supplying the shelves with LED-lights. Remaining logs were cut into pieces and used to create a natural wooden back-wall. 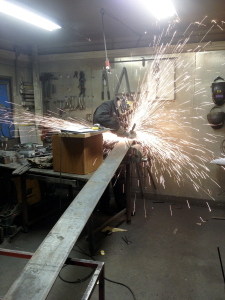 All work on the project was done by local craftsmen in a local setting. With this project we attempt to display our core values and our way of design, our love for simplicity in details and material choice, at the very heart of the commercial world.